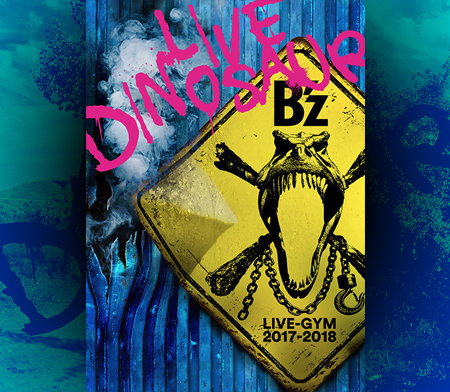 B’z no… B’z no… B’z no LIVE-GYM ni youkoso! 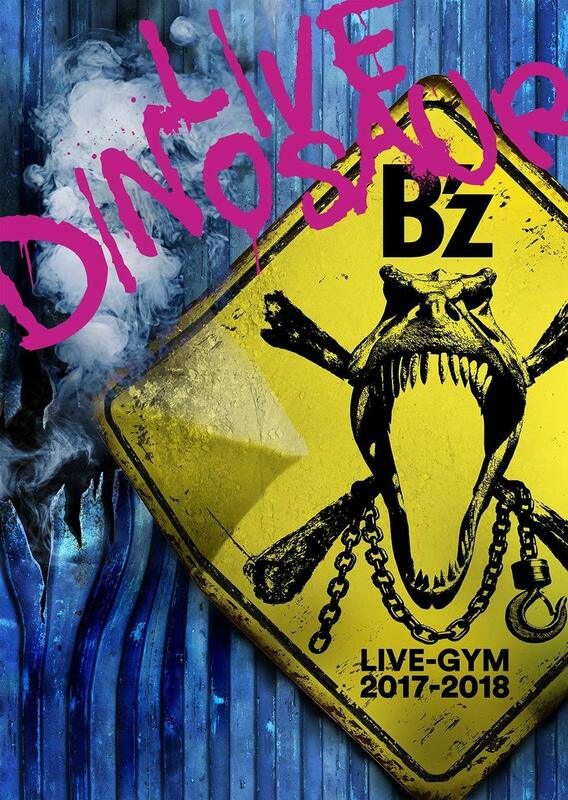 B’z LIVE-GYM 2011 -long time no see- kicked off in Vancouver yesterday. 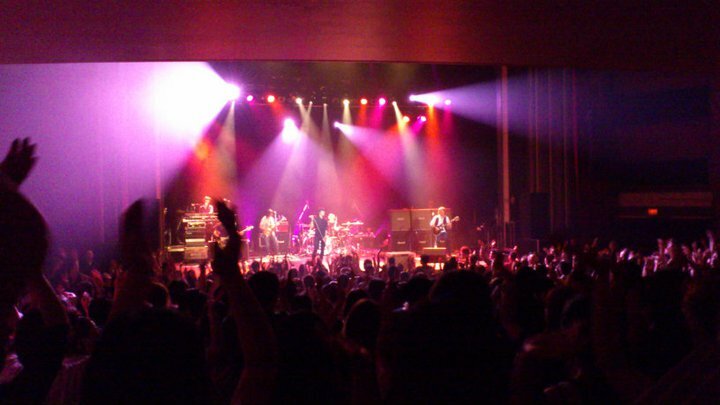 Most of the people in the crowd seem to have been Japanese, but the overall concert was great, it seems. According to various voices on the internet, B’z also played some songs in English… and I don’t mean the songs we know that are in English, but songs that are originally in Japanese, sung in English. I’m going to keep the set list a secret, since everyone who’s not going will probably watch the livestream of the gig in Los Angeles. Here’s also a video taken by a Japanese who films the queue in front of the Vogue Theatre. You can hear him say “mostly Japanese” as he walks along the queue. I want to know the set list, please. I’m not going to post it, but I can send it to you via Email. OMG it was such an amazing concert! Yes, he did. He would speak in Japanese and then translate in English and vice versa. Quite a few songs in English too! Is it possible the LA set list will be different since it will be broadcast online? I hope they will include more songs… If you notice LA show starts earlier than the other cities. I came up from Portland to see this show. I did the same thing 8 years ago to see them in Seattle, so I figured “Why not?” This venue was sold out, but the theater itself didn’t feel nearly as crowded as the Showbox did 8 years ago. As far as the performance, it far exceeded my expectations! 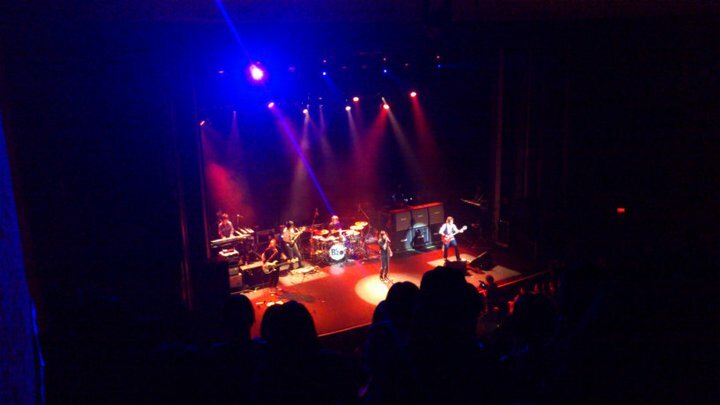 The setlist was a perfect blend of hard rocking hits, and beautiful ballads. You will not be disappointed. All in all, it was an amazing experience. The city, the fans, the performance, everything. I certainly hope that they don’t wait another 8 years to come back to North America. Perhaps a full tour that hits all of the major cities again? Also, here is the only picture that I was able to capture during the show. This was after the encore, right before they left the stage. I wanted to take more pictures, but I was having TOO MUCH FUN! 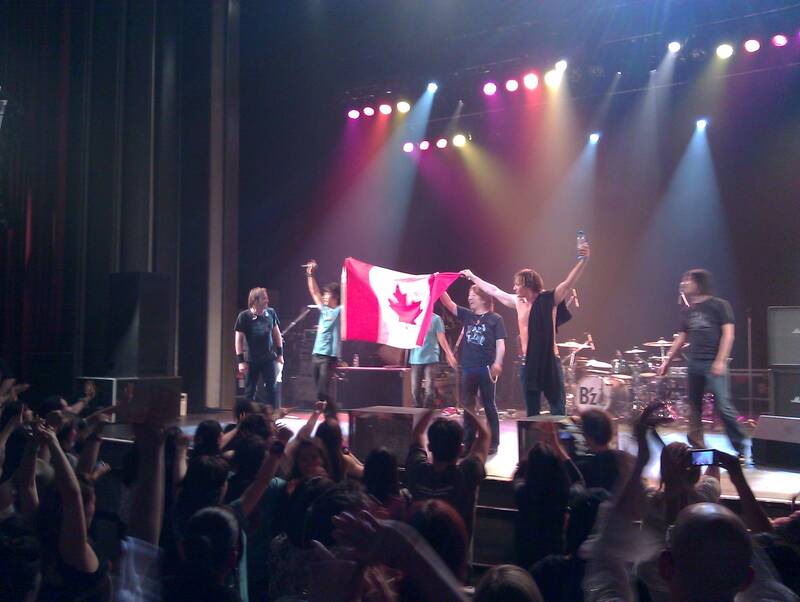 Thank you B’z and Canada for the memories. So if you are watching, you can chat in semi real time using the wall post.